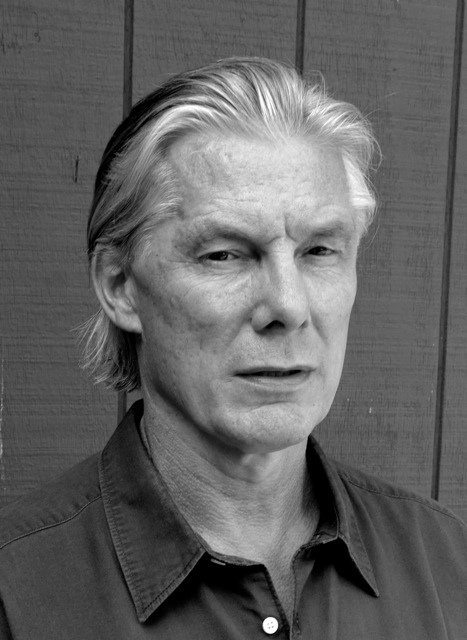 James Nares produces artworks that capture the moment of their creation. Working in the medium of film, printmaking and paint, the artist is interested in recording time and motion. Nares moved to New York in the 1970s and became part of the artistic milieu. He was part of the 'No Wave' music scene, performing with the band The Contortions and living in the loft district of Tribeca. The artist undertook various creative endeavours as a musician, filmmaker, performer and visual artist. While his early paintings were figurative, the single brush stroke remained a central presence in his work. The artist’s practice has evolved through a process of stripping away elements, reducing the process until it involves the creation of a single brushstroke. Nares’ paintings involve the creation of physical and temporal space. The artist repeatedly recreates a mark in order to achieve the image he is satisfied with. Each piece involves a dynamic interplay between uncontrolled spontaneity and conscious act. A work can be achieved in a single attempt or after hundreds of attempts. The brushstroke is a central form for Nares, functioning as a structure that he expands and experiments within. Nares’ continuous brushstrokes are richly coloured, vivid, luminous, energised forms. The physical process of creation is essential to Nares’ work. In order to achieve the mark he desires, he creates his own paintbrushes using different materials including feathers and foam rubber. The artist also utilises apparatus and devices to create an artwork, including a rig that allows him to paint while suspended above the piece. The brushstrokes are self-contained forms, suspended on the canvas. Each work embodies the artist’s physicality, the motion of his body and the gesture of his hand. In 2008 the artist’s film and video works were exhibited in a complete retrospective at the Anthology Museum Archives, New York. In 2013, a significant monograph will be published featuring the artist’s work across four decades. Work by Nares can be found in public and private collections including the Whitney Museum of American Art, New York; Albert Knox Gallery, New York; and the Museum of Modern Art, New York.